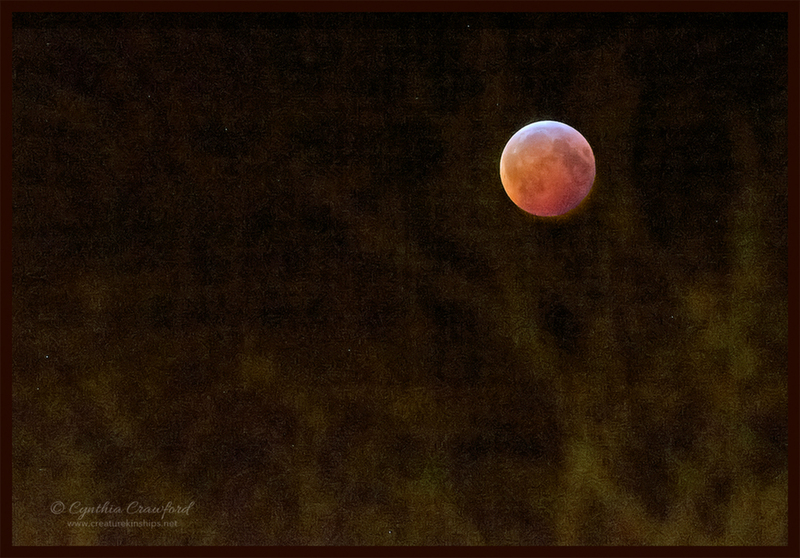 The moon had moved just to the right where there were some very oof branches sticking up. I thought they made an interesting foreground texture. 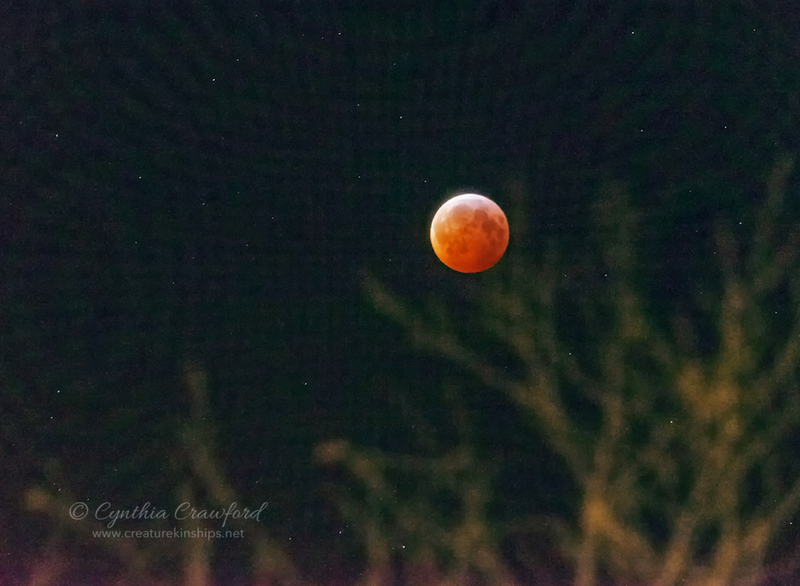 Amazing how fast the moon moved through the sky-had to constantly adjust the tripod. It was so cold I used a pencil eraser to trigger the shutter so I could keep my mittens on. Nikon D750, 300mmf/4, 1/30, f/7.1, ISO 8000 manual , tripod. Please click to see the textures in the trees. the trees add an almost ethereal feel to this Cindy. Well worth clicking on. Nice one! Hmmm-yes, I'm beginning to think it's a bit .....strange? . Oh, well. I like the look of the oof trees but not sure about the grain. Have you tried noise reduction on the sky - I was just wondering what that would look like.... Once again you have lovely proportions and great view of the moon colours and surface terrain. Thanks Carol. I tried noise reduction- it has very little effect on this large crop. I'll try another version-I'm not sure if I like the trees in the picture at all, but it's fun to experiment. Here's a different shot with trees. Odd, it looks like they are behind the moon! Had to bring these out of a very dark shot, so there is still some noise, even with NR applied. You really can't see much unless you click on this.